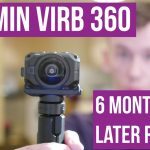 Home » 360° Camera Comparisons » Rylo vs Insta360 One: Which should you buy? Rylo vs Insta360 One: Which should you buy? 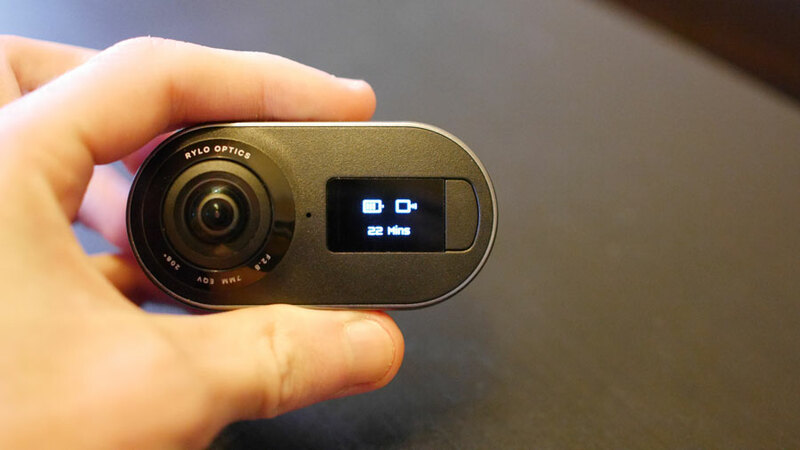 The Rylo is a brand new 360 camera created by an intrepid American start up. The founders of the company worked for Instagram and have a mission to bring equally user friendly software to the world of 360 cameras. The Insta360 One was released in summer 2017 by the Chinese company Insta360; this is their fourth 360 camera and by far their best. Insta360 have developed a reputation for affordable but feature packed devices and the Insta360 One certainly fits into both of those categories. I own both of these cameras and have used their features extensively, in some ways they are similar but there are also huge differences. If you are trying to choose between a Rylo or an Insta360 One, this post should help you as I’m about to compare every aspect of both cameras to determine which is the best. These are two very different cameras with very different internal mechanics, yet they are both trying to ahceive a similar goal. The main similarity between the Rylo and the Insta360 One is that they both come with re-framing software. Re-framing is when you manipulate 360 video to create flat video, with smooth panning and duel screens. It’s kind of like having multiple cameras in one. The software used by both camera is very different, and so is just about everything else. Both shoot 360 video in 4K, but the Rylo has a slightly higher (and non equirectangular) overall resolution. The Insta360 can shoot large photos but the Rylo has custom optics. Both cameras have stabilization software, but as you’ll see they are not equal. The main difference, and probably the one you care about most, is the price. The Rylo is quite expensive at just under $500, whereas the Insta360 One is a more reasonable $300. Does the Rylo justify its higher price tag? Let’s find out. Some people place high value on excellent or “premium” designs, I’m probably not one of those people, but I do like my tech to not look cheap. More important is the build quality. I don’t like flimsy plastic or moving parts that feel like they could snap off at any moment. The Insta360 is primarily made out of a strong plastic with a glass finish on its flat edges. There is a single button for power and to start recording/take a photo. Depending on how many times you push the button you’ll either be on camera mode or video mode. The design of the camera is reasonable but not mind-blowing, it’s about what you would expend giving the price tag. What does concern me slightly is the connector, which can be a bit flimsy. The Insta360 One connects to your iPhone via a lightning connector. Once attached the camera can be controlled by the phone using an app. This is a great way to use a 360 camera and it makes for a awesome iPhone accessory, but the physical connection is wobbly and the camera visibly moves from side to side when you move the phone. For this reason I feel I have to keep the phone fairly still for fear of the camera falling off. Apart from this the Insta360 One is well built and sturdy, but with little protection from impacts. You can also use your Insta360 independent of an iPhone and with a selfie stick/tripod. The Rylo is a more expensive device, but it looks the part. The Rylo is the first 360 camera I’ve seen that uses metal in it’s body, which is wrapped around the outer rim. Not only does this look great, but provides a bit more protection. The rest of the body is plastic, but even this feel more premium. 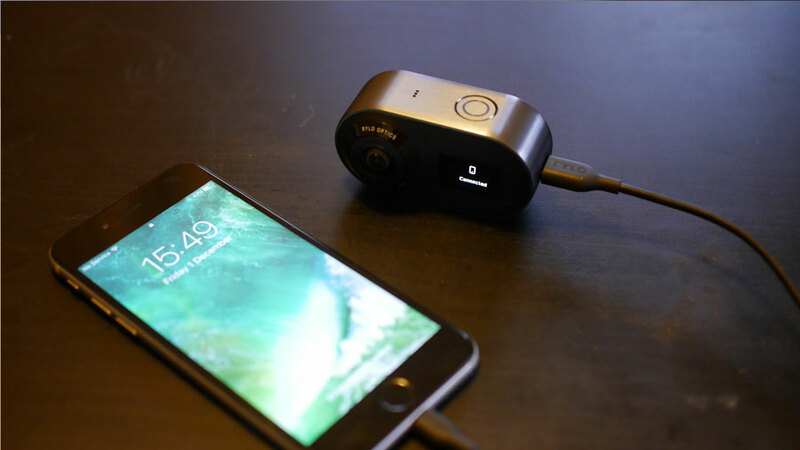 The Rylo has a small LCD screen, a power/shutter button and a small button to change from video to photo modes. The inclusion of a screen is welcome, but also necessary given that you can’t connect the camera to your phone while you use it. 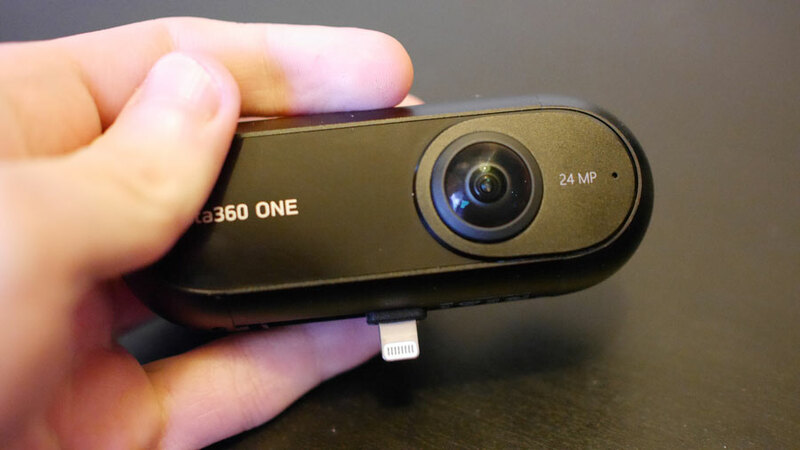 Unlike the Insta360 One, the Rylo has no live view mode and cannot connect to yuor phone directly. Instead you’ll need to connect via the cable provided after you’ve finished shooting (there is no wifi connection either). The Rylo is definitely a great looking device and has a premium feel, the every day case that it pops into also provides a bit of protection from drops. Which camera shoots better 360 video? Let’s find out. The Rylo shoots at a slightly higher resolution, but even more important than that is the lens quality. In the video below you’ll see several clips shot with the Rylo, the Insta360 One and the VIRB 360, which is the most expensive 360 camera out right now. Just focusing on the Insta360 One and Rylo, it’s clear that there is a different in quality but which one is “better” is hard to determine. In the first clip the Rylo seems able to pick up more details, if you look at the grass the image is clearer. The Insta360 adds a slight amount of saturation to the image, making it a bit warmer where as I think the Rylo is more true to reality, which one you prefer may be down to preference. Perfect Stabilization, 4K 360 video and innovative software. Designed by former Instagram employees. In the second clip I attached each camera to a bike and rode down the same hill. Each camera has stabilization software designed to keep images smooth in bumpy conditions, and this was a very bumpy road. The Rylo is the clear winner here, by a long shot. The image is smooth almost all of the way through despite the camera shaking violently in reality. The Insta360 One on the other hand does not handle the vibrations well. Having said that, the Insta360 One stabilization works great in less challenging conditions, but the Rylo is clearly superior in this department. In the low light videos it’s again hard to tell which is better, but only because both perform quite poorly. The Insta360 One produces a clearer image but creates a lot of noise. The Rylo image is very dark but with far less noise. Neither is ideal but I’m sure you’ll decide for yourself which you prefer. Overall I’d have to say the Rylo produces better 360 video than the Insta360 One, although it’s a close match. What swings it for me is the amazing stabilization that the Rylo is capable of. Both cameras are capable of shooting 360 photos as well as video. The Insta360 One can shoot larger images at 24 megapixels, where as the Rylo is limited to 18 megapixels, but lens quality also plays a part. Let’s take a look at some example shots. This image shows a photo from each camera in a flat, non 360 mode. Here you can see the different in size between the two. Usually a larger image is better in 360, because the more pixels an image has the clearer it will look. Let’s take a look at these shots in 360. This is the image shot with the Rylo. You’ll notice that I’m rather awkwardly close to the camera, which is because the Rylo doesn’t have an automatic timer that would give me enough time to get out of the way. This is a rather basic feature that all cameras should have. The image quality itself isn’t too bad, although there is certainly some filtering going on. The colors aren’t quite accurate and there are one or two stitching errors. Overall it’s fairly standard quality for a 360 image. This image taken with the Insta360 One is slighter sharper thanks to the higher number of pixels, however there are also some more obvious stitching and parallax errors. The colors in this image are far more accurate to reality and the camera has an automatic timer, allowing me to not look quite as silly. Despite the stitching errors, I would say that the Insta360 is definitely the better camera for 360 photography. Not only can it shoot higher resolution photos, it has a variety of manual options such as a timer, exposure control and ISO that the Rylo does not have. Excellent value 360 camera with 4K video, 24mp photos and Freecapture mode. Most 360 camera have two shooting modes; video and photo. The Insta360 and Rylo both have another mode, which allows you to create flat video by manipulating 360 video. It’s called re-framing but Insta360 call their feature “freecapture”. The effect is entierly software driven, so once you’ve shot your video you use the software to create the final flat image. This is an example of a re-framed video using the Rylo App. Rylo gives you several options which are demonstrated here. You can select an area or object to follow, which the camera will to the best of its ability. You can have a small image from one lens super imposed over the other, which is what you see at the start. Mostly you’ll be using the app to select interesting areas for the camera to focus on, which then allows to to create smooth panning motions automatically. You may notice some vibrations in this video, which is unsurprising as the camera was attached to a bike. I’m surprised the image is even watchable because the camera was shaking violently. The stabilization software used by the Rylo is second to none and allows you to create these smooth panning motions. ls their re-framing feature “Freecapture” and it works in a slightly different way to the Rylo software. Once you’ve uploaded your video to your phone and enter the free capture editor, you are expected to play the video and move your phone to look around the image at the right time. You can zoom in and out, point in any direction and focus on a specific area. The app will record where you look and produce the final image from this. It’s an interesting way of creating a re-framed 360 video, and it certainly saves time, however it’s lso more inaccurate and doesn’t produce a smooth video. The stabilization software also isn’t as advanced on the Insta360 and you can clearly see the visible vibrations in the above video. The Insta360 One does also have a desktop app that allows you for smoother motions, but the stabilization issue will still remain. Insta360 One: The battery lasts over an hour of continuous usage when not connected to the App, when connected this is cut significantly. When the camera is connected to the phone and transferring files, the phone battery is drained significantly. Rylo: The battery will last around an hour, maybe a bit less, with heavy usage. This is under average compared with most 360 cameras. The Rylo can’t live stream at all whereas the Insta360 One can livestream in 4K. The livestream feature is one of the easiest I’ve used, so that’s a pretty clear win for the Insta360. Both cameras only have 1 standard microphone, so don’t expect amazing audio from either of these cameras. A draw. Insta360 One: The Insta360 is packed full of features, but not all of them work especially well. The software is a bit clumsy and the video capabilities are inferior to the Rylo. Then again, this is a $300 camera and for that price this is an excellent 360 camera. Rylo: This is an expensive camera there’s no doubt about it, and for such an expensive camera there are some basic feature missing, like a timer and live view. Never the less, whatever the Rylo can do, it does extremely well. The re-framing mode is the best I’ve used and the stabilization is near perfect. It you want a premium product that “just works” then the Rylo is for you. 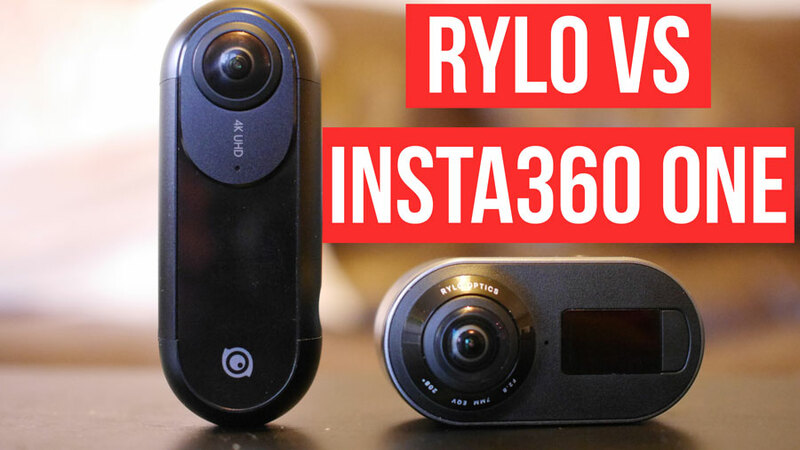 Which is the better 360 camera, the Rylo or the Insta360 One? If I had to choose between them right now, I’d choose the Rylo. I think its re-framing software and stabilization are really exciting, and I’ve had no issues with the software so far. I love the Insta360 One, but it’s a bit more of a challenge to use and the video doesn’t come out as smooth, which is really important to me. Having said that, if you wanted a camera that can take awesome photos as well as video, then the Insta360 One is the better choice. Same goes for if you want to live stream, or edit on a desktop rather than a phone. 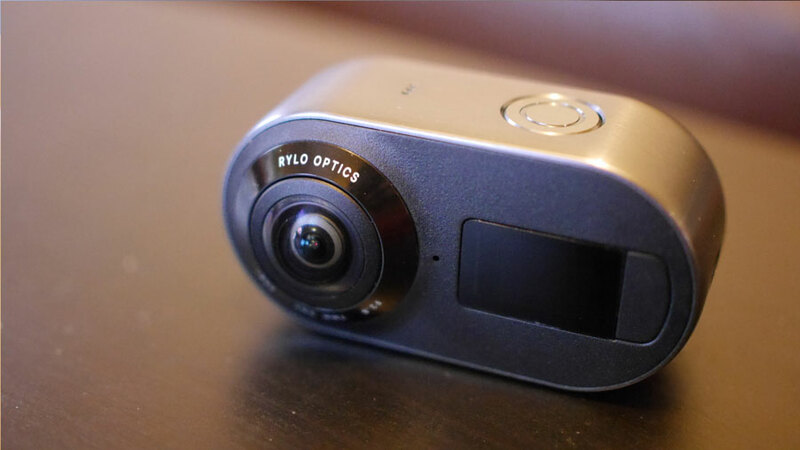 If you’re willing to spend the money, and you want to create awesome 360 video AND normal “flat” video with the same camera, then the Rylo is an awesome camera to do that with. If Rylo develops a PC desktop solution for their re-framing, I might consider it. Looking to upgrade from my Theta SC, whose 5376 x 2688 photo quality I am fairly happy with as is. (The video quality is not even worth a mention.) I know you gave the Insta360 One higher marks for stills. Can speak to, or point me to a comparison of Theta SC (or Theta IV) stills versus Rylo’s? TIA.